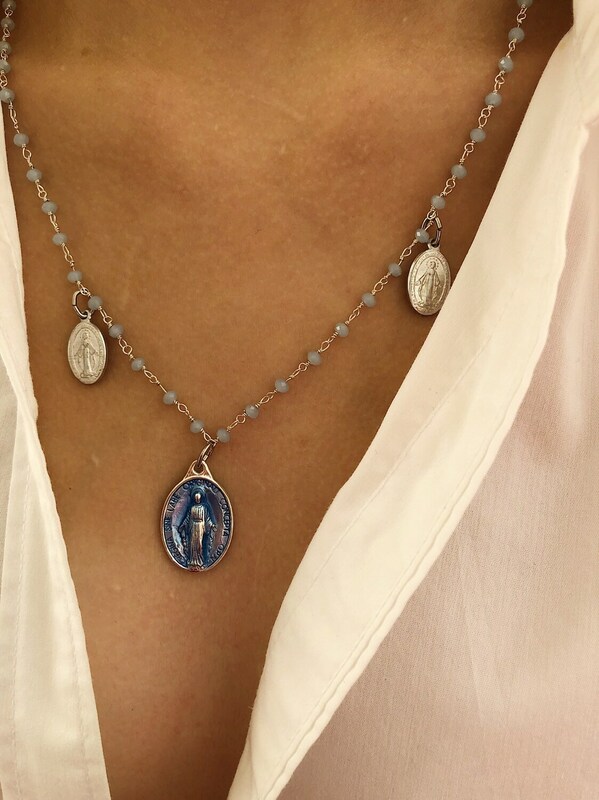 The necklaces for sale in this listing are made with silver-plated brass rosary chain with micro pink and light blue beads. 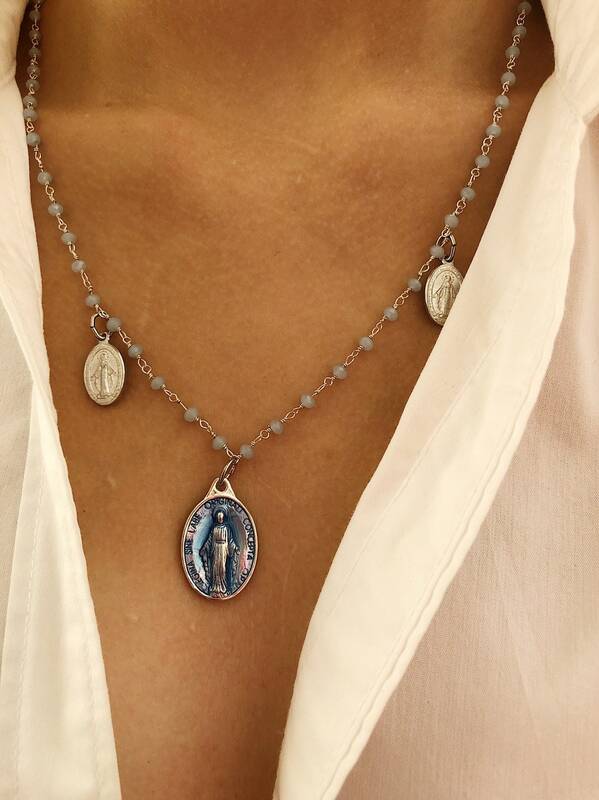 The pendants are medallions with miraculous madonnas in silver aluminum on the sides, while in the center a larger pendant with an enamelled Madonnina. The clasps and hooks of the chain are made of 925 silver. The chain is 45 cm long, a classic choker.